>voting Obama does not make me a Christian. > i’m nervous that my voting for Barack Obama is turning into a way for me to feel holy. do i believe that Obama’s ideals are closer to that of Jesus than those of John McCain? yes. i’ve expressed those thoughts a number of times on this mug and those thoughts likely aren’t going to diminish anytime soon. my fear is this: am i substituting living like Christ with voting for Obama? there’s not much to voting really. i check a box. thats really all it is. i’m aware that my vote means very little and that i can’t alone make a great difference in the election. perhaps thats why i’ve attempted to educate myself and share my thoughts with friends and family and on here on occasion. so that my vote is more than just me checking a box, but that it is me witnessing to others why i believe Obama to be the best choice. but is that witnessing overriding the witnessing i ought to truly be doing? is my political agenda interrupting the agenda i ought to have for Christ? 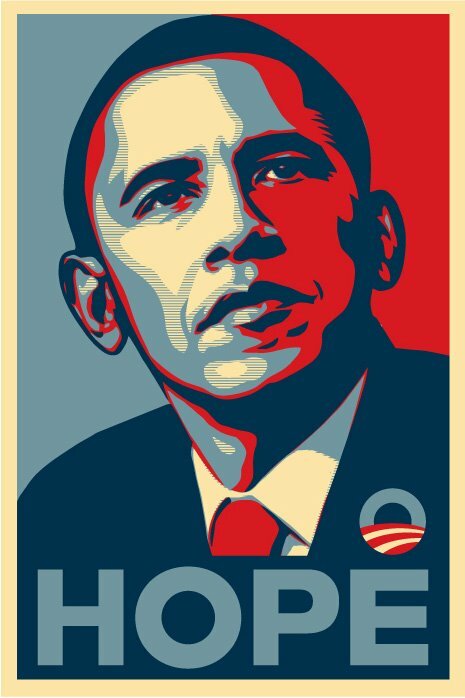 rephrased: is my hope in Obama? or in Christ? voting for Obama does not make me a Christian. somewhere between august and october – so probably in september – my mindset slowly tweaked into one hoping to get America on the right track and away from questioning my own actions. i have tried my best to approach political decisions by asking, “where is it written?” however, in my haste to answer this question for today’s worldwide issues i’ve managed to ignore answering that question in terms of my own life. this is not to say that i’ve been dwelling in a pit of sin, but simply that i need to focus on the spirit of my own heart more than i do. also. everyone ought to go to karlie’s blog and watch the video. Previous Previous post: >more post-season prognostication. Next Next post: >relatively unrelated thoughts to social theory.